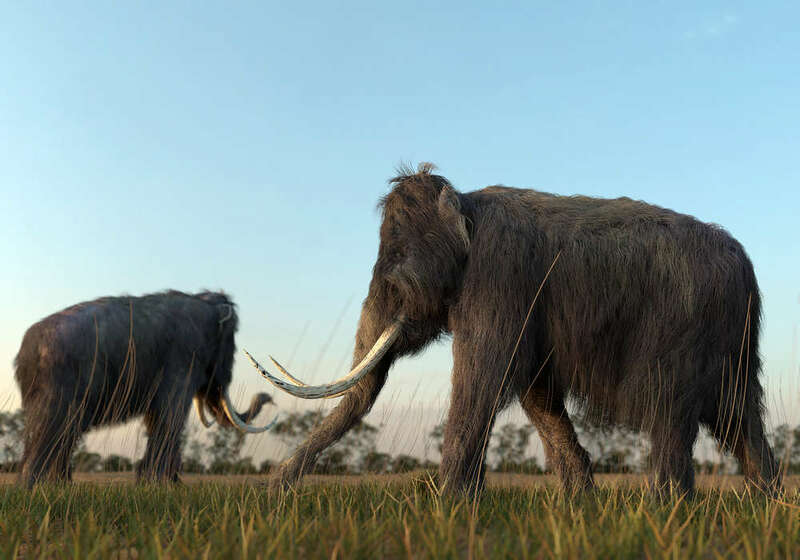 A team of road workers were building a new bypass in Cambridgeshire when they stumbled upon an unusual find – the Ice Age remains of both a woolly mammoth and a woolly rhino. The discovery was made in what used to be an ancient river but is now a section of the A14 between Cambridge and Huntingdon close to Fenstanton. The bones will be sent to specialists in London for further analysis but experts say they could be 130,000 years or older. "What I would really like to know is how much of each animal has been found," Dean Lomax, a paleontologist at the University of Manchester, UK, told the BBC, calling it an "exciting" find. Woolly mammoths (Mammuthus primigenius) have been extinct for 10,000 years or so, but they were once a common sight across Eurasia (from Portugal to Japan) and North America (from eastern Canada to the American Midwest). According to recent research, their range may have extended for more than 33 million square kilometers (13 million square miles), making them one of the most widely distributed large mammals of the period. It is not exactly certain when the last of the British woolly mammoths died out, but we know that they lived in the UK as recently as 14,000 years ago. 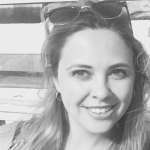 It is thought that climate change (not modern human) was responsible for their demise – when temperatures warmed, forests took over the grasslands of Northern Europe, destroying the woolly mammoth's preferred habitat. 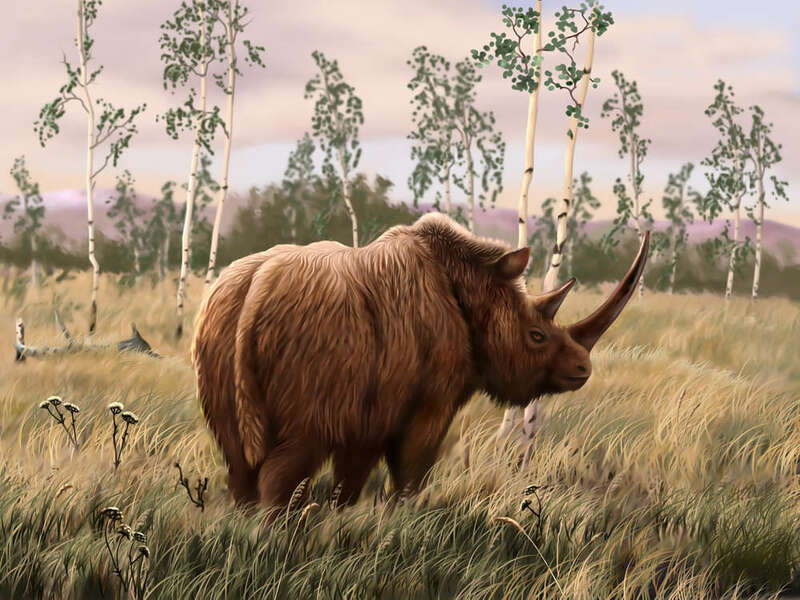 The woolly rhino (Coelodonta antiquitati) died out a little later at 8,000 years ago. Like the woolly mammoth, it had a vast range, covering Eurasia as far west as Scotland and as far east as South Korea. Unlike the woolly mammoth, there is one (out of five) representative of the woolly rhino family alive today, the extremely rare Sumatran rhino (Dicerorhinus sumatrensis). "Woolly mammoth and woolly rhino were once a common part of the wildlife here in the UK but recent discoveries like this are quite uncommon," Lomax added. This is not the first major discovery to take place during the £1.5 billion ($1.95 billion) project to renovate the A14. Since work began in 2016, improvements to the 33-kilometer (21-mile) stretch have unearthed a Medieval hamlet, three Anglo-Saxon villages, Roman kilns (and skeletal remains), Iron Age settlements, and prehistoric henges – roughly equivalent to 6,000 years worth of history.